At Tidal Wave Auto Spa, we are always on the lookout for enthusiastic, energetic people to join our incredible team. If you enjoy helping people, have a strong work ethic, and love working in a team environment, a car wash job with Tidal Wave Auto Spa may be right for you. We have many locations and numerous employment opportunities. You must be 18 years or older to apply. Tidal Wave Auto Spa is a drug-free workplace, and applicants must pass a drug screen and background check to be hired. 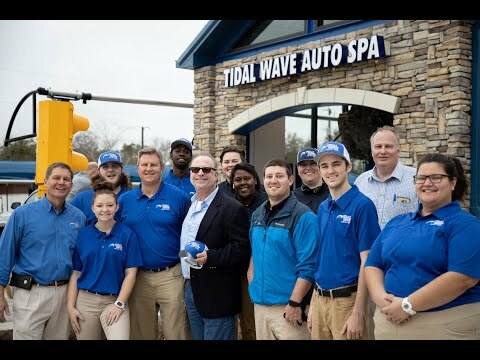 Learn more about working at Tidal Wave Auto Spa in our video below. Choose the location near you and complete the application. READY TO APPLY? FIND YOUR NEAREST LOCATION!